Google has also fixed some issues with the platform in the latest update, including improvements in the Wind Down feature, and Digital Wellbeing’s Back button behaviour. 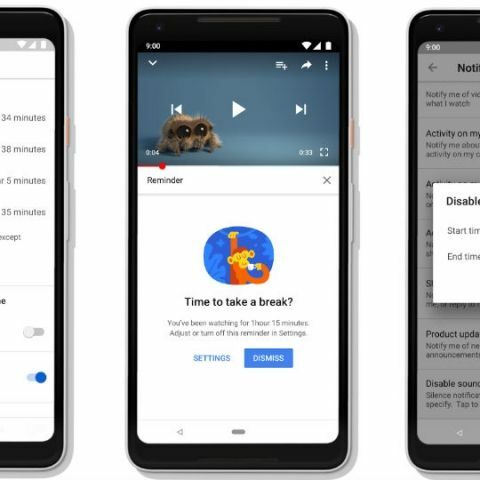 Google has finally rolled out the stable version of the Digital Wellbeing tools to all Pixel devices as well as the Android One smartphones which are running on Android 9 Pie. The company has updated the app information on the Play Store and has listed what all improvements it has included in the latest update version 1.0. The app was introduced at Google I/O in May, first released in August with the Android Pie update for Pixel handsets and was updated on November 14. 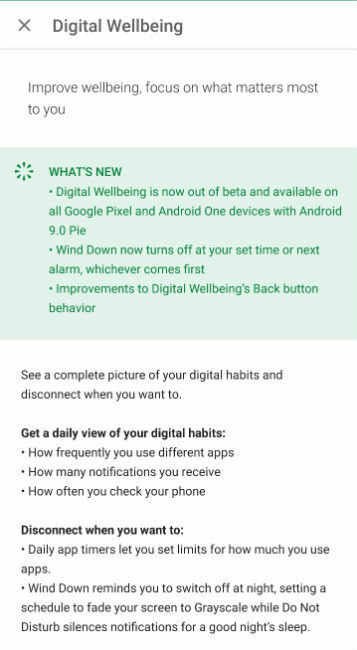 Under the What’s New section, Google says, “Digital Wellbeing is now out of beta and available on all Google Pixel and Android One devices with Android 9.0 Pie.” The update also brings fixes and improvements in the Back button behaviour and Wind Down feature. Users of the Digital Wellbeing tools can use Wind Down to disconnect from their phones and avoid interruptions while they sleep. Wind Down combines the existing Do Not Disturb behavior Night Light feature and a new Grayscale mode that turns the screen monochrome. At Google I/O in May, Google introduced Digital Wellbeing tools that help people better understand their tech usage, focus on what matters most and disconnect when needed. These tools can help users monitor and manage their time spent on different platforms, like Instagram, Play Store, Chrome, Photos, YouTube, among others. You can also manage notifications from different apps. When you open the “Manage Notifications”, you can see the time since the last notification of a respective app. Users can also choose the apps from which they want the notifications from. Google had previously rolled out these tools for YouTube that lets users know exactly how much time they have spent watching videos on the platform. To give users a better understanding on this, Google built a profile that is available in the account menu. This profile will tell users know how long they have watched YouTube videos in a day and over the week. “Our goal is to provide a better understanding of time spent on YouTube, so you can make informed decisions about how you want YouTube to best fit into your life,” Brian Marquardt, Director of Product Management, had said. Recently, Juho Sarvikas, HMD Global's Chief Product Officer for Nokia phones announced the availability of the feature for the Nokia 7.1 Plus and the Nokia 6.1 Plus, which are both Android One smartphones. The tools are available as a standalone app from the Google Play Store. If you have a pixel device or an Android One smartphone running on Android 9.0 Pie OS, search for Digital Wellbeing by Google LLC on the store to get the app. If you can’t find it, wait for some time because it’s likely a gradual rollout.